Tony Dutt is one of NBA’s top agents. He has an unmatched record of excellence and achievement for his athletes and the many NBA / FIBA teams they play for. From his first client “Karl Malone” to Shawn Kemp, Rashard Lewis, Acie Law and many others, Tony has negotiated hundreds of millions in contracts for his 25 first round draft picks, free agents, athletes, and coaches. He does however want to do more to assist the new generation of agent and athletes. With his career at the top of his sport, Tony is expanding his responsibilities and commitment to America’s youth. Pro Sports Group is extremely proud to announce that Tony Dutt and Dutt Sports Services, Inc. is a member of our “Agent Advisory Council”. 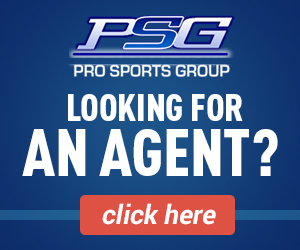 Pro Sports Group created the Agent Advisory Council to provide an avenue for super achievers in our field to assist those coming in, both athletes and agents. 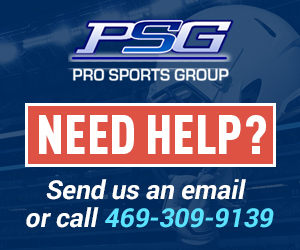 High ethical standards, demonstrated integrity and a outstanding record of success with a willingness to respond and steer both athletes and agents so they can partake and experience the joy of “working their passion” and achieving their dreams are a few of Pro Sports Group requirements. Tony Dutt’s NBA career spans 20 years and his accomplishments continue to grow. 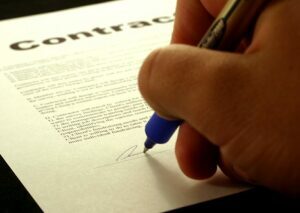 Tony parlayed a business degree, and a few borrowed dollars, with his passion for athletes and sports into a highly respected and well known sports agency, Dutt Sports Services, Inc. Today, Tony is on first name bases with the NBA GM’s after negotiating contracts, extensions, promotions and sponsors for his many athletes. Parents can rely on Tony to steer his athletes and their sons or daughters through the very tricky maze of problems confronting the modem athlete. Tony was quoted after one particularly difficult negotiation having several off the field issues: “ You have to have more patience now then was required earlier. It is truly an education each year for the new players and the teams we place them with. I treat all parties with a high degree of respect and integrity. Mistakes are often made by young athletes but that is part of growing process. We work together to overcome all the difficulties. Tony Dutt and Colin Bryant are very selective in who they represent as it’s not just the Talent it’s also the Integrity of a player or person. Tony and Colin strive to make Dutt Sports Services, Inc the place “Where the player is worth more that his contract”. One of his players made an interesting observation, he said, at “Dutt Sports Services it is not just Business its Family”. Quotes from those who know Tony demonstrate depth of character and passion for winning with his clients and friends. Avery Johnson, one of Tony’s high profile coaches has said, “we have the best player-agent relationship in all of professional sports”. Nick Van Exel: Tony was able to get me a large NBA contract and into winning situations through his relationships with NBA GM’s. The quotes can go on for many pages but Pro Sports Group is sincerely honored to have Tony Dutt, and Dutt Sports Services, Inc. as a member of our Agent Advisory Council. More information can be obtained on Tony at his web site http://www.duttsports.com/.